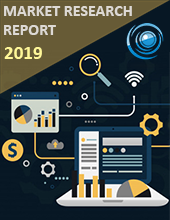 The Middle East & Africa home healthcare software market size is projected to reach approximately $28.09billion by the end of 2024 with a CAGR of close to 9.06% during the forecast timeline 2018-2024. The significant factors that propel the growth of the Middle East & Africa home healthcare software market are growing geriatric population and rising incidences of chronic diseases, government initiatives to promote home healthcare. However, limited coverage of insurance and patient safety concerns may hamper the growth of the market. The Middle East & Africa home healthcare software market is segmented by Application which is further segmented in to clinical and non-clinical. Clinical has the major application areas of home healthcare software market specified regarding homecare-EMR, medication management, and point-of-care documentation. The product type is segmented into testing, screening and monitoring products. Service segment is further segmented into rehabilitation services, infusion therapy services, unskilled care services, respiratory therapy and skilled nursing services and software are classified into clinical management software and hospice solutions. By Geography, Middle East & Africa is segmented into the Middle East and Africa. Amedisys has built a proven track record in home health, hospice and personal care services in the year 2017.